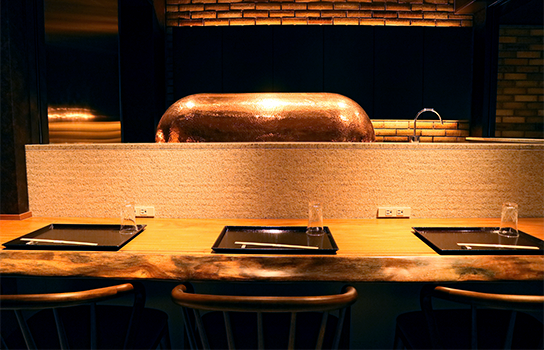 Tempura counter or counter, a large or small table or a private room – choose the seating arrangement that suits you best. 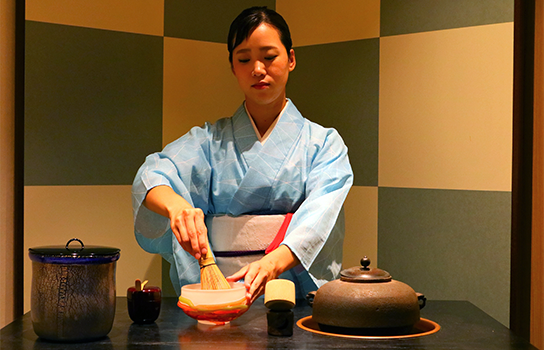 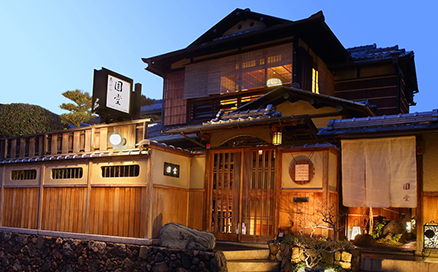 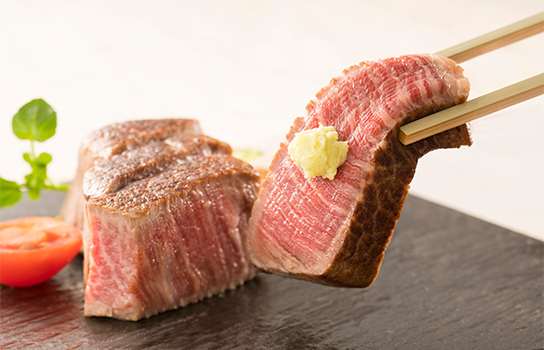 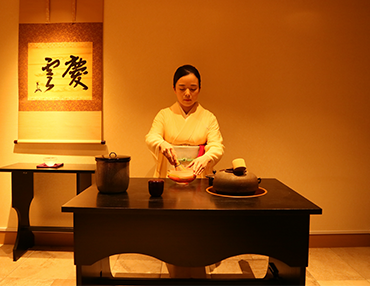 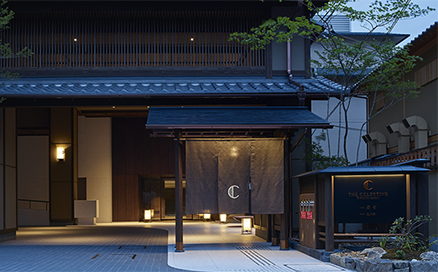 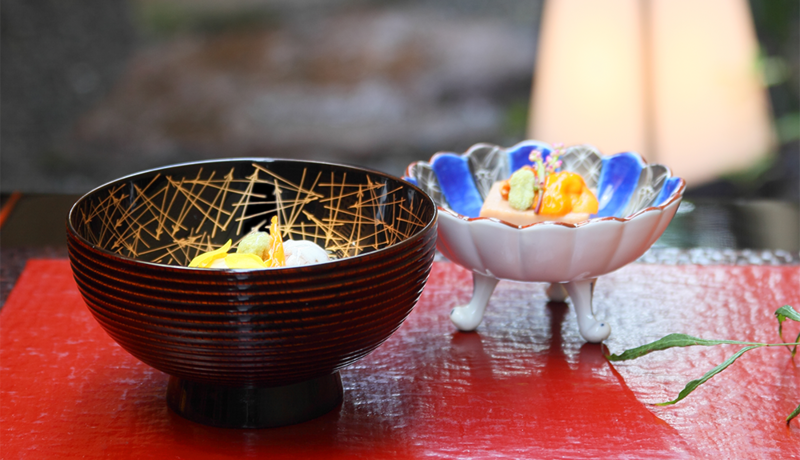 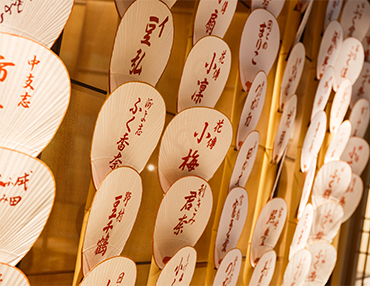 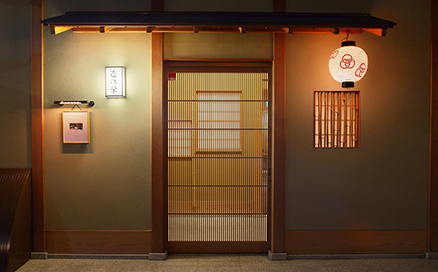 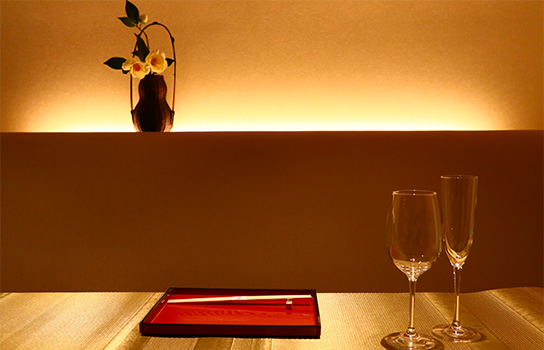 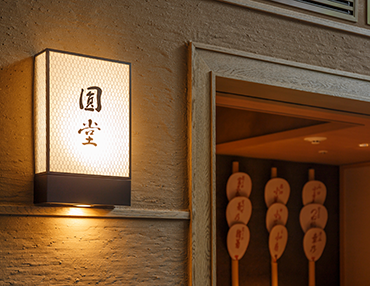 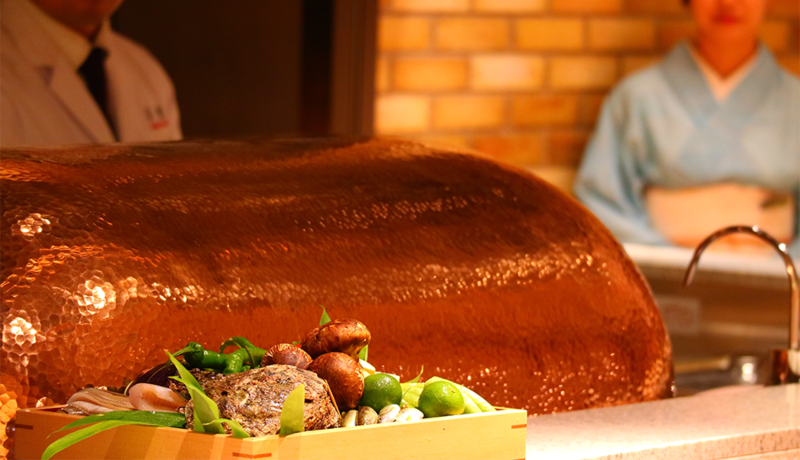 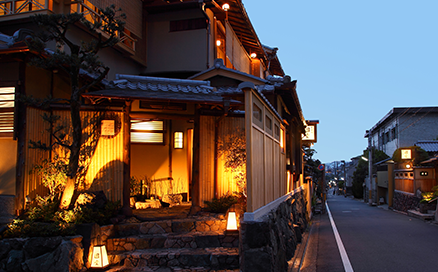 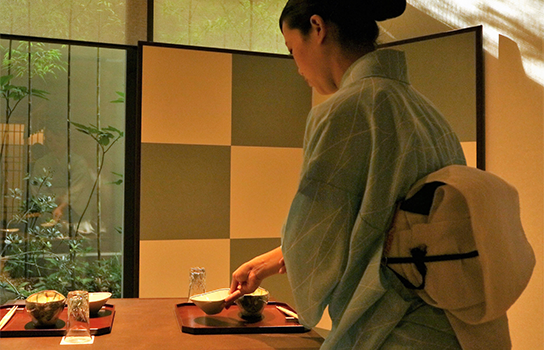 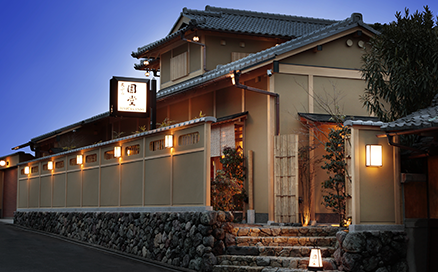 Relax and enjoy a Kyoto experience of your very own. 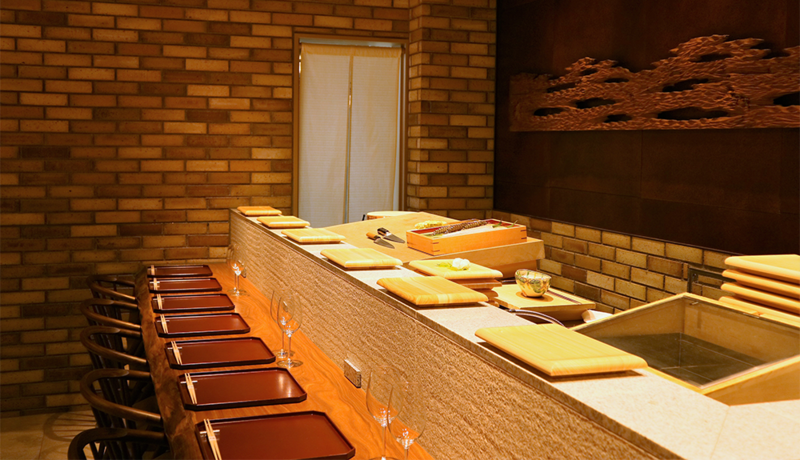 Sit at the tempura counter, with an abundance of ingredients laid out before you, and watch our chef carefully craft and serve each piece with perfect timing, in true Yasaka Endo style. 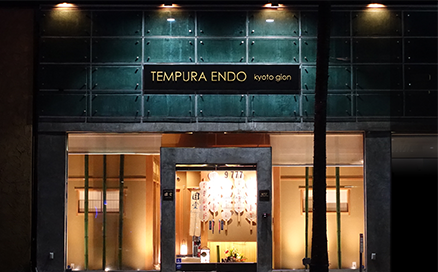 Behold the refined skill of high-class tempura chefs who were trained at the original Endo restaurant. 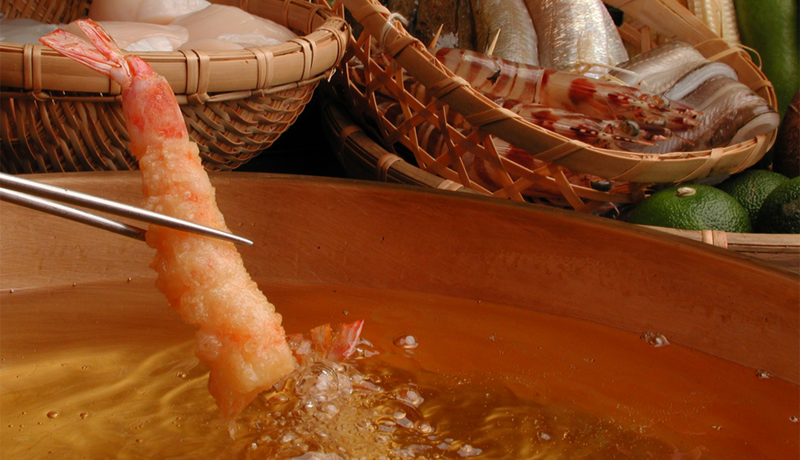 * The tempura counter can be booked out for groups of 4 or more. 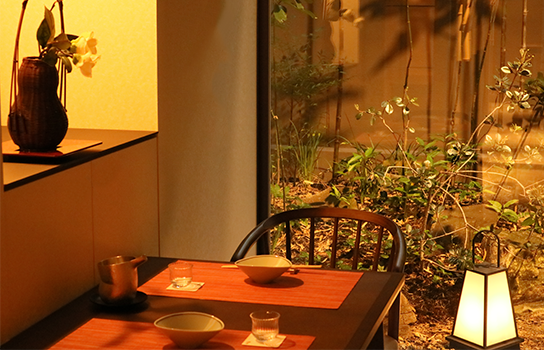 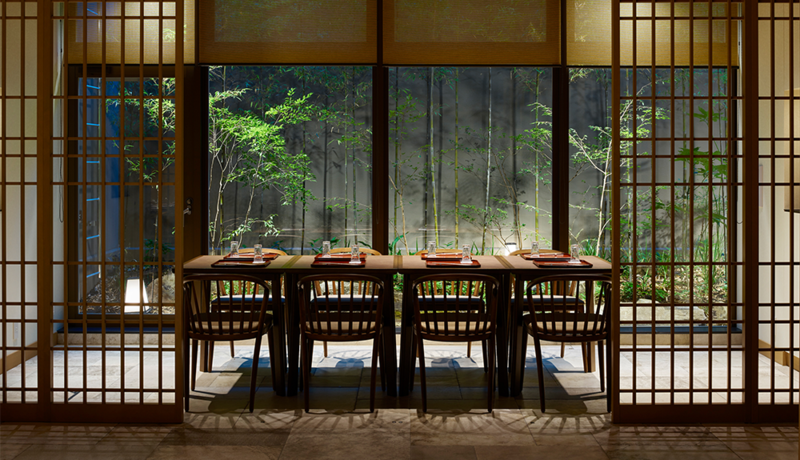 Enjoy a relaxing meal with a few companions in one of our private rooms, as you look out through the large window on the garden, designed to recall a secluded Higashiyama residence. 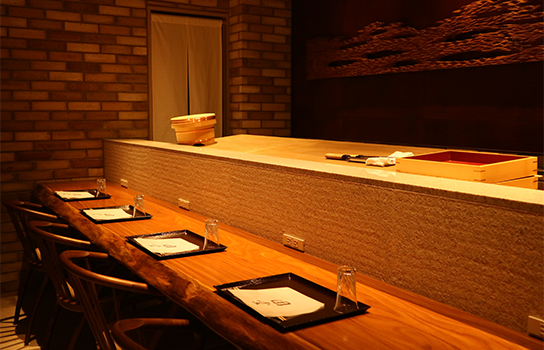 In the center of the restaurant, in view of the stage, are 38 tables, designed in Japanese style, covering an area of 250 square meters. 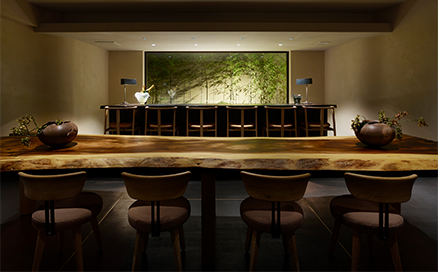 The space accommodates 80 seated guests or 120 for a non-seated reception. 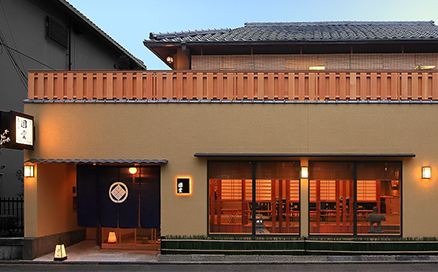 The wooden stage, inspired by the shoin-zukuri architectural style, is slightly raised so that it can be seen from the back of the room. 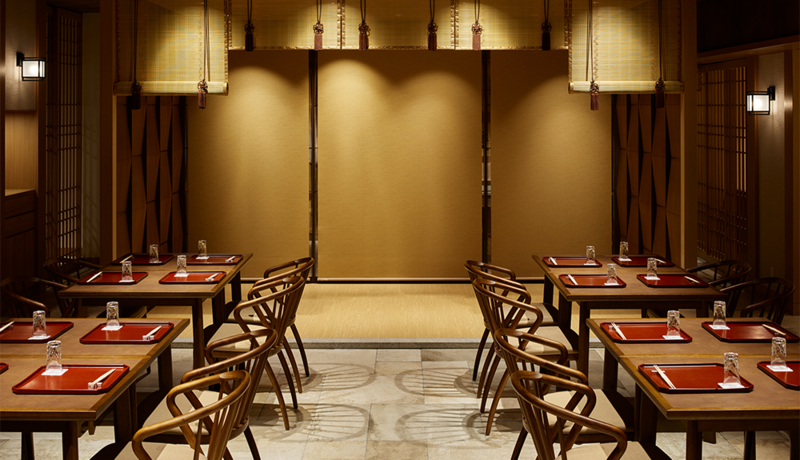 Armchair seating gives a relaxed feel, and tables can be combined in a variety of layouts to suit your dining needs. 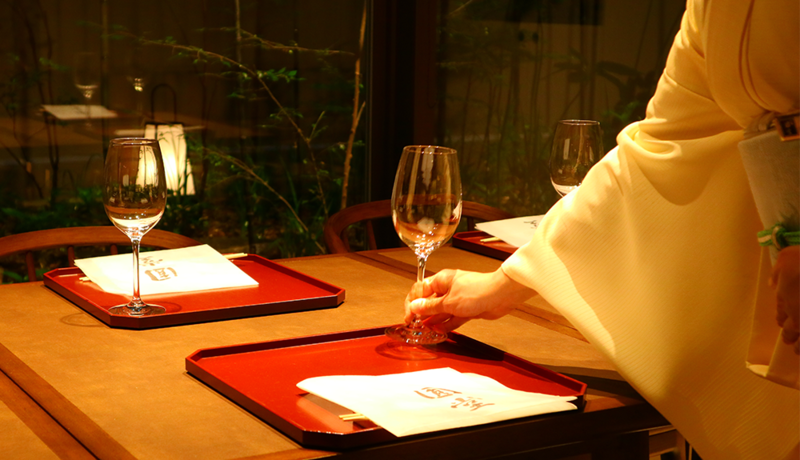 * The restaurant can be booked out for groups of 50 or more (maximum 120). 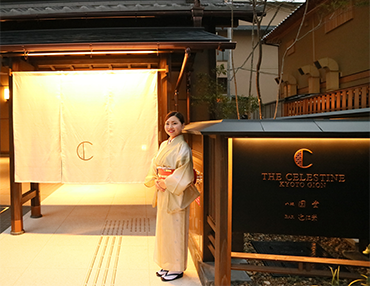 * Entertainment from geisha, maiko and chihou-san (shamisen player) is available on request. 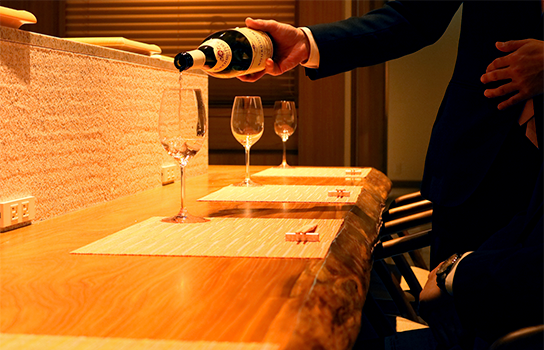 * Hostesses available on request.